South Euclid United Church of Christ, formerly known as the Euclid Avenue Congregational Church, the Cleveland Museum of Art and partnering sponsors (including Pilgrim Congregational United Church of Christ and Western Reserve Association of the Ohio Conference of the United Church of Christ and national partners, Amnesty International and JustFilms of the The Ford Foundation) are hosting a screening of Hate Crimes in the Heartland, a groundbreaking documentary that explores media coverage of hate crimes in America. The Northeast Ohio premiere will be held on Martin Luther King Jr. Day, Monday, January 19, at the Cleveland Museum of Art, as part of the museum’s free MLK Day programming. The film will screen at 2:00 p.m. in the 683-seat Gartner Auditorium, as well as two simulcast locations at the museum. A panel discussion, moderated by Russ Mitchell, lead anchor and managing editor of WKYC-TV, will follow the film. 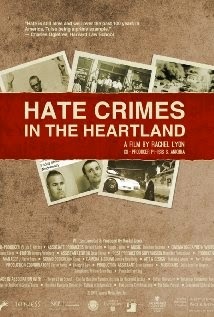 Panelists include Rachel Lyon, Hate Crimes in the Heartland writer and producer; Rev. Courtney Clayton Jenkins, senior pastor and teacher of the South Euclid United Church of Christ; Bettysue Feuer, regional chair and National Commission member of the local Anti-Defamation League; Rev. Dr. Jawanza Colvin, pastor of the Olivet Institutional Baptist Church; and Skyler Edge, a local LGBTQ activist. The discussion will focus on intolerance and pathways to reconciliation. Audience members will be invited to share questions and comments. Tickets are required, but are available at no charge by contacting the museum’s box office at 216-421-7350 or 1-888-CMA-0033 or online at www.clevelandart.org/events/special-events. “The Cleveland Museum of Art is proud to be a co-presenter of this significant documentary. In our continuing efforts to build partnerships and deepen engagement with community members of all backgrounds, we’re honored to serve as a forum for discussion for these highly relevant topics,” said August A. Napoli, Jr., deputy director and chief advancement officer of the Cleveland Museum of Art. The screening and panel discussion represent a unique opportunity for community members to listen and take part in a conversation about timely local and national issues. For more information about other social justice initiatives facilitated by the South Euclid United Church of Christ, please call 216.791.5220 or visit www.SouthEuclidUCC.org. For more information about the Cleveland Museum of Art, please visit clevelandart.org.